A year after his last start, US bred champion Dongbanui Gangja [Broken Vow-Maremaid (Storm Bird)] has been formally retired aged 8. 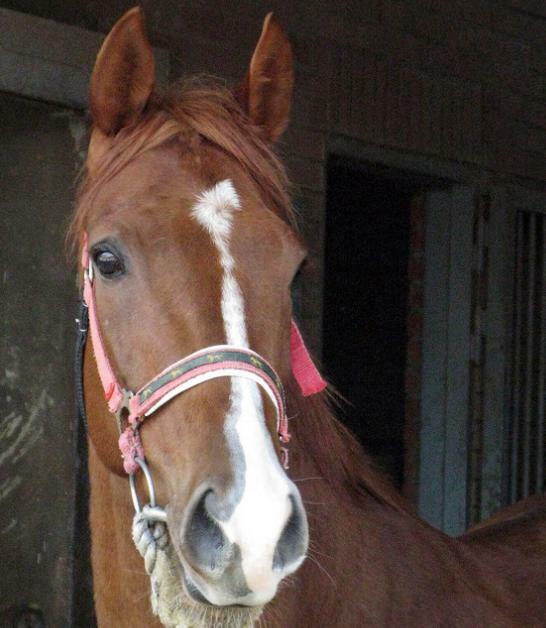 He is a two-time winner of the Grand Prix Stakes, Korea’s most prestigious race, claiming victories in 2008 and 2009. He also won the Owners’ Association Trophy as he racked up 20 wins from 35 lifetime starts. A $20,000 purchase from the OBS Spring Sale of Two-Year-Olds in Training in April 2007, Dongbanui Gangja has a solid but start to his racing career, winning 3 times from 6 starts as a 2-year old. He continued to develop as a 3-year old culminating in his first Grand Prix win in December 2008 beating 2007 winner Bally Brae by 4 lengths. That was the 3rd win in a sequence of 12 consecutive triumphs that saw him become the first horse to simultaneously hold the Grand Prix Stakes and Owners’ Association Trophy. He successfully defended his Grand Prix title in December 2009 with a dominant 6 length win. His remarkable run of victories finally came to an end on his first trip to Busan for the Metropolitan City Mayor’s Cup in July 2010. Billed as the first showdown between Dongbanui Gangja and the young upstart import Tough Win (Yonaguska), Dongbanui Gangja ran inexplicibly wide on the final turn eliminating himself from contention. This began a period of several races where he became very difficult to control including in that year’s Grand Prix when he could only manage 7th place behind Mister Park. 2011 saw a return to some kind of form and he managed a creditable 2nd place on his return to the Busan Metropolitan as well as picking up 2 big handicap wins. Like all successful imported horses, however, it was becoming harder and harder to find races for him due to the handicapper. On what proved to be his final outing, in February 2012, he carried 62kg. Despite that impost, he won. 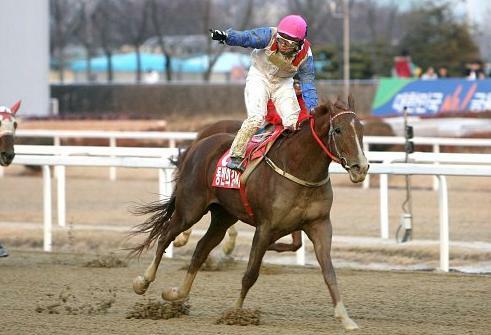 One of the most successful horses ever to race in Korea, a retirement ceremoney for Dongbanui Gangja, at which the horse will be present, will be held in the winner’s circle at Seoul Race Park this coming Sunday, February 17.